Easier said than done however, and I’m a huge fan of taking supplements to work with my diet and exercise resolutions at keeping illness at bay. Key to keeping well are Vitamin C and bioflavonoids, which are essential antioxidants that are found in nature together in many fruits and vegetables. The human body is unable to manufacture either of them however, and relies on daily dietary intake to meet its needs. They work best together too - for best results Bioflavonoids enhance the absorption and action of vitamin C in the body and they also helps reduce inflammation. Vitamin C’s main function in the body is its role in producing collagen, the substance that makes up ligaments, tendons and connective tissue that connect and support the human body. Vitamin C supplementation has been shown to enhance the immune system; promote wound healing; support neurotransmitter and hormone production and promote the health of all cells in the body. Vitamin C is one of the most important antioxidants in the body, working both inside and outside the cells where it provides front line antioxidant protection. 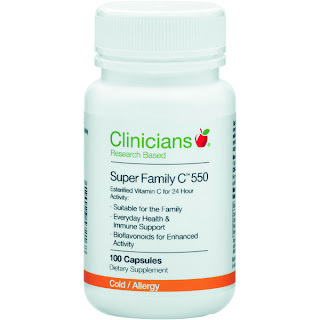 Vitamin C deficiency can result in a diminished immune response, susceptibility to infection and slow wound healing. 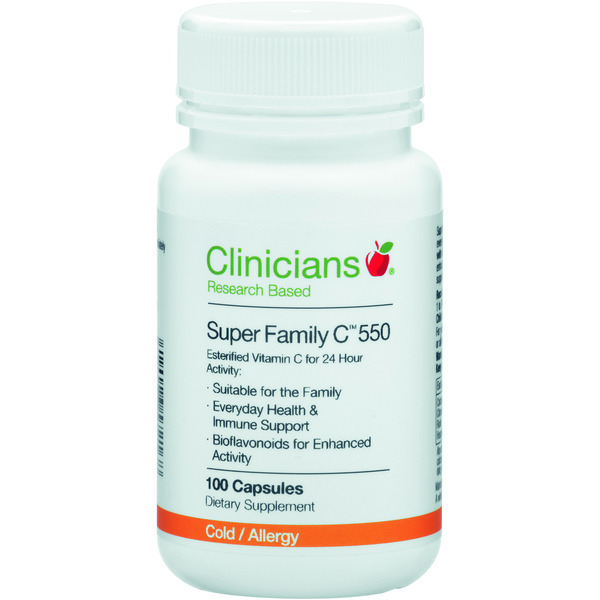 But never fear, because there is a great supplement containing both Vitamin C and bioflavonoids on the market in the form of Clinicians Super Family C, which provides three forms of Vitamin C, calcium ascorbate, sodium ascorbate and ascorbic acid, working together with a citrus bioflavonoid complex to support immune, circulatory and everyday general health 24 hours a day. So really, there is no excuse for not taking a Vitamin C supplement with this little baby around – it’s just too easy!